If you’re a small business owner, odds are that you’ve heard the Intuit name once or twice before. Thanks to their nearly ubiquitous accounting software, QuickBooks, Intuit has become a household name for small businesses across the country. But what you might not know is that Intuit also offers merchant services. In fact, Intuit took their dexterity for small business finances and applied it with equal skill to their QuickBooks merchant services products, Intuit QuickBooks Payments. 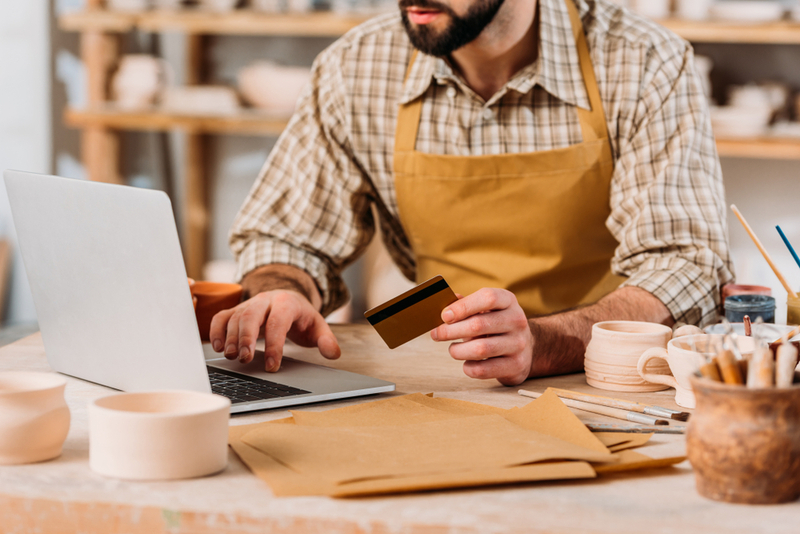 From their affordable processing fees to their accessible merchant center, Intuit merchant services offers top-tier payment processing to small businesses like yours. And because they know that the most important thing a business owner can have is options, Intuit merchant services comes in multiple different versions for you to choose from. Before we cover the details on all the various iterations of Intuit merchant services, let’s cover one crucial caveat: For your business to access any version of Quickbooks Payments, it will need an account with the corresponding version of QuickBooks accounting software. You’ll need a QuickBooks Online account to access QuickBooks Online Payments, and you’ll need a QuickBooks Desktop account to access either of the two QuickBooks Desktop Payments. Basically, Intuit QuickBooks merchant services will function much like an add-on to Intuit QuickBooks accounting software. So, if you’re using an accounting software other than QuickBooks Online or Desktop—and you’re fully attached to your accounting software—then you’ll have to look beyond Intuit merchant services for your payment processing solution. No matter which of the following three versions of QuickBooks merchant services you end up choosing for your business, you’ll have access to the Merchant Center Intuit created for their small business customers. Plus, every transaction you run through Intuit merchant services will automatically store and sync in your accounting software. Because this feature can save business owners so much tedious bookkeeping, the automatic sync is one of the biggest draws that QuickBooks Payments offers. Finally, though each version of Intuit merchant services offers different types of payment processing, each will allow your business to process at least three types of payments. Beyond payment processing, automatic bookkeeping, and the Merchant Center, Intuit merchant services products differ depending on which version your business ends up choosing. The first of your Intuit merchant services versions to choose from is QuickBooks Online Payments. This QuickBooks merchant services product allows for free bank transfer payments, along with lower payment processing fees for card payments. Plus, you won’t have to pay a monthly fee in order to access these lower payment processing fees. You’ll also be able to access the online Merchant Center that Intuit tailors specifically for your business based on your QuickBooks accounting software and QuickBooks Payments accounts. All in all, QuickBooks Online accounting software users hoping for Intuit merchant services are in luck with QuickBooks Online Payments. And those looking for Intuit merchant services—but who aren’t yet QuickBooks Online accounting software users—might consider opening an account for both of these services. On the other hand, if your business is using a version of Intuit QuickBooks Desktop as its accounting software, then you’ll have access to Intuit merchant services through QuickBooks Desktop Payments. Just like the online version of Intuit merchant services, the desktop version will allow your business access to the Merchant Center Intuit designs for it, payment processing capabilities, and automatic sync with accounting software. Unlike the online version of QuickBooks merchant services, this desktop version has two different payment structures. The first version of QuickBooks Desktop Payments is the “Pay as You Go” version. This version of Intuit merchant services will allow your business to pay piecemeal through a slightly higher payment processing fee. Alternatively, if your business uses QuickBooks Desktop accounting software, but processes a high volume of payments, then the “Pay Monthly” plan for the desktop version of Intuit merchant services might be a better fit. With the “Pay Monthly” plan for QuickBooks Desktop Payments, your business will pay $20 per month in order to access a smaller payment processing fee for every transaction it runs through QuickBooks merchant services. Again, you’ll still gain access to payment processing, accounting software sync, and the Merchant Center—Intuit QuickBooks Desktop Payments “Pay Monthly” version will only differ from the “Pay as You Go” Online version in the way your business pays for it. Were you expecting even more from your Intuit QuickBooks merchant services? Then you might be imagining a complete point of sale system, rather than simply just Intuit merchant services. If you’re not content with payment processing, accounting software, and access to the Merchant Center, Intuit merchant services might not be the be-all-end-all for your business’s payment processing solutions. If you’re used to all things QuickBooks Desktop, we suggest you look into QuickBooks Desktop POS software to accompany your QuickBooks merchant services. And just like QuickBooks Payments, with QuickBooks POS software, you’ll have options to choose from. That said, be sure to keep in mind that none of these QuickBooks POS software options come with any kind of hardware included. So, in order for your business’s point of sale to function fully, you’ll have to make some separate hardware purchases. Not to mention, QuickBooks POS software will only be able to sync with QuickBooks Desktop financial software, so QuickBooks Online Payments and accounting software users will be out of luck. The most affordable version of QuickBooks POS software is the Basic plan. The most powerful version of QuickBooks POS software you could choose to accompany your Intuit merchant services is the Multi-Store plan. Unsurprisingly, the Multi-Store plan is also the most expensive version of this POS software—its one-off price starts at $1,900. Now that you’re familiar with all the ins and outs of Intuit merchant services, it’s time to take a step back and consider your next steps. From here, your next move will depend on how you feel about all you’ve learned about QuickBooks merchant services. If you need more payment processing, accounting software syncing, and access to the Merchant Center, Intuit merchant services simply might not be the best choice for your business. Plus, attaching QuickBooks POS software to your Intuit merchant services might be either too costly for smaller business, or simply impossible for QuickBooks Online users. One of the best alternative to Intuit merchant services is Square POS systems. 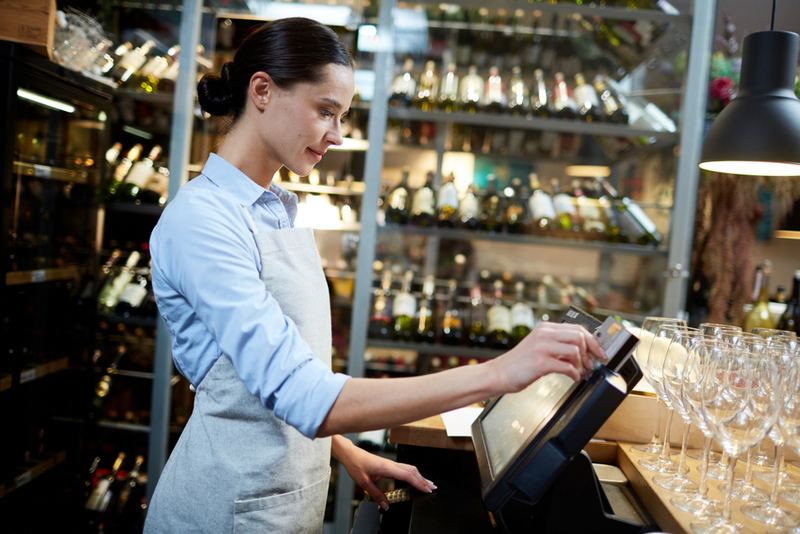 Unlike Intuit merchant services, Square POS systems are customizable and fully integrated. They’ll allow your business to either convert a smart device into a powerful point of sale, or invest in an all-in-one point of sale, complete with payment processing capabilities, point of sale software, and point of sale hardware. Plus, Square offers some of the most affordable POS options on the market—with a free hardware and a free software option, the only unavoidable cost with Square will be a payment processing fee. And unless you manually key in a card payment, this processing fee will only cost you 2.75% of the transaction value. Another top alternative to Intuit merchant services for you to consider is Clover POS systems. Just like Square, Clover offers fully integrated POS systems that allow you to access payment processing, point of sale hardware, and point of sale software, all in one bundle. Unlike Square, though, most of Clover’s point of sale systems won’t require you to have or invest in a smart device. In fact, only one piece of Clover POS hardware—Clover Go—will connect to a smart device. The three other POS systems that Clover offers come complete not only with fully functioning hardware and software, but also with barcode scanning and receipt printing capabilities. One downside to Clover will be their confusing, quote-based pricing structure. Though, compared to the fragmented, costly pricing that Intuit merchant services comes with, Clover ends up looking pretty user-friendly and affordable. Is Intuit Merchant Services Right for Your Business? After learning all the ins and outs of Intuit Quickbooks merchant services, you’re in a good position to answer this question for yourself and your business. The way we see it? Despite all it has to offer—including payment processing, accounting software syncing, and access to the Merchant Center—Intuit merchant services could very well not be the right fit for your business. This is a remarkably narrow product and can basically only serve pre-existing Intuit customers. If that’s you, then great! Perhaps this is the merchant service provider for you. But if it’s not, or if you need an inclusive payment processing solution, keep shopping for other options. Inova Payroll Reviews: Is This the Payroll Solution Your Small Business Needs? 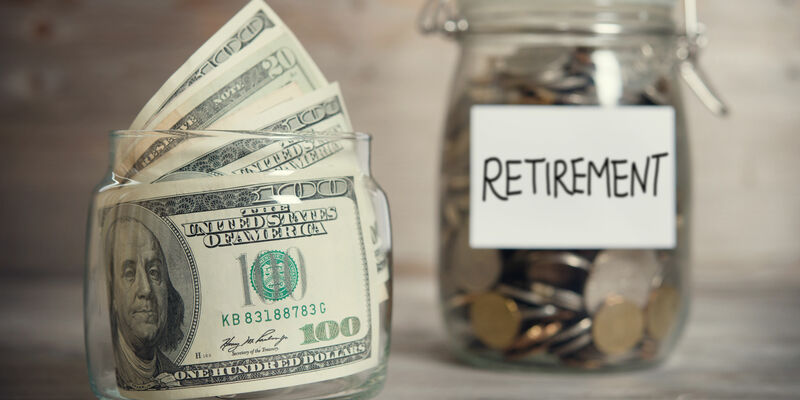 Vanguard Small Business Retirement Plans: Are They Right for Your Business?